Wolf Ammunition is a USA based ammunition importer. Based out of California, Wolf imports millions of rounds of affordable ammunition every year. Much of it comes from Russia, the Balkans and Taiwan. 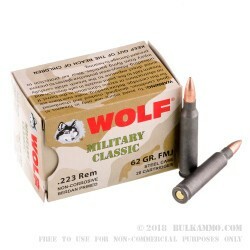 Wolf .223 ammunition is known for being reliable and affordable and is usually produced by military factories. This .223 ammunition form wolf is produced in Russia. Ammunition is copper over lead, loaded is steel cases. 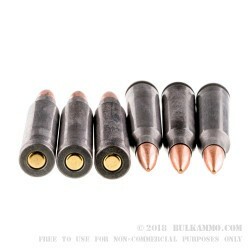 Ammunition is ideal for plinking, target shooting and training in your AR-15 or 5.56x45mm AK rifle. It is not recommended to use this ammunition in Ruger Mini-14 rifles. 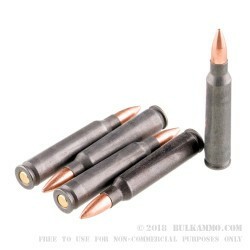 This ammunition comes packaged in a box with 20 rounds inside that are ready for your AR-15 rifle. Each round is Berdan primed, steel cased and considered by most shooters to be non-reloadable.